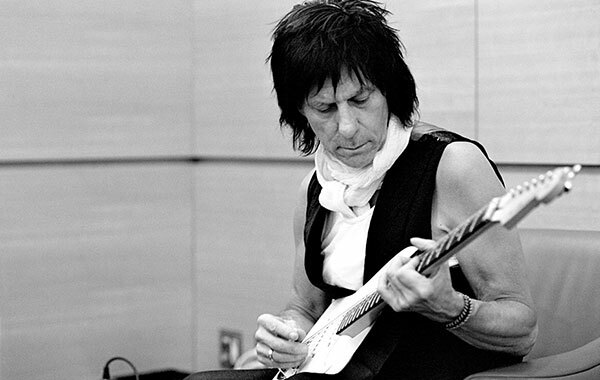 LOS ANGELES – Jeff Beck paid fitting Tribute to Les Paul last summer, celebrating what would have been the pioneering guitarist’s 95th birthday by playing his friend and mentor’s music, along with classic tunes from the era, in the same Times Square nightclub that Paul played every Monday for 14 years before his death in August 2009. Imelda May Band at the Iridium Jazz Club in June 2010. Other guest performers, joining Beck onstage, included Brian Setzer, Gary “U.S.” Bonds, and Trombone Shorty. ATCO will be offering a CD of this exclusive show, featuring 20 live tracks from the evening, on February 22nd. This will be available at all retail outlets for $18.98. Eagle Rock Entertainment will offer the Blu-Ray and DVD of this special one off show, to purchase at $19.98 and $14.98 respectively, also on February 22nd. They will include seven extra live performances as well as bonus footage and interviews. Following these releases, Beck will take the “Rock ‘n’ Roll Party” on the road for a short U.S. tour. Beck will once again be backed by The Imelda May Band and its enchanting singer Imelda May, who joined Beck on stage at the 2010 Grammy® Awards for a spot-on rendition of Paul’s “How High The Moon.” Tickets are on sale now in select markets, check local listings. On January 13, Beck will join an incredible line up of rock legends who will come together to perform at the first Killing Cancer concert – part of a campaign to change the way cancer is treated. Joining Beck at the HMV Hammersmith Apollo in the UK will be Richard Ashcroft, Bryan Adams, Debbie Harry and The Who. Earlier this month, Beck’s latest album Emotion & Commotion was nominated for five Grammy® awards including Best Rock Album, Best Rock Instrumental Performance (“Hammerhead”), Best Rock Performance By A Duo Or Group With Vocals (“I Put A Spell On You” with Joss Stone), Best Pop Instrumental performance (“Nessun Dorma”), and Best Engineered Album, Non-Classical (for Steve Lipson). Beck is also nominated in the Best Pop Collaboration With Vocals category for “Imagine,” his collaboration with Herbie Hancock, Pink, India.Arie, Seal, Konono No 1 & Oumou Sangare. This marks the most nominations ever for Beck in a single year and makes him the most nominated artist in the Rock field in addition to being the most nominated British artist for this year’s awards. Beck has previously won five Grammy awards. 24 9:30 Club Washington, D.C.